​The Miami Marlins are beginning to run out of teams interested in trading for catcher J.T. Realmuto. Last week, two of the most aggressive teams in pursuit of him, the ​New York Mets and ​Atlanta Braves, dropped out of the sweepstakes. However, there are still some squads left trying to work out a deal at a potential bargain, including the now-reinvigorated Houston Astros. And yes, if you check out Houston's strong projected lineup, there does seem to be a clear hole at catcher. How do you like this lineup? 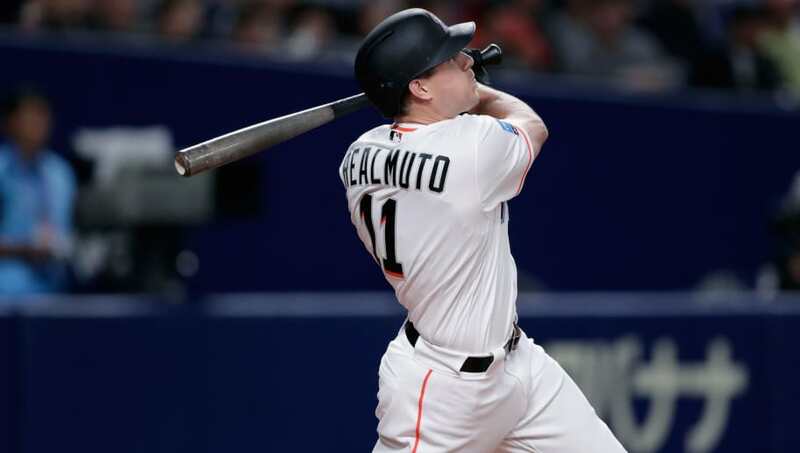 The Astros expressed interest in Realmuto earlier this offseason, but were reluctant to meet the ​Marlins' asking price of either top prospects Kyle Tucker or Forrest Whitley, along with other pieces. It looks like either the Astros are beginning to reconsider, or the Marlins have lowered their asking price and could make the deal for just one of those prospects, excluding any additional players. ​​It'll be interesting to see just how much the teams still in the mix on Realmuto are willing to part with to get him. While the Astros are chasing Realmuto, they could always try to sign free agent catcher Yasmani Grandal if they're reluctant to part with top prospects. They could also use that idea as leverage on the Marlins to get the asking price lowered.